RevMedx, Inc. announced today significant price reductions for its award-winning XSTAT 12 and XSTAT 30 hemostatic devices. The Food and Drug Administration recently granted 510(k) clearance for new versions of XSTAT that RevMedx developed with support from the U.S. Department of Defense. The new XSTAT devices contain design changes that decrease manufacturing costs and improve scalability while maintaining safety and efficacy. Effective immediately, the price of a single XSTAT 12 device is less than $100. 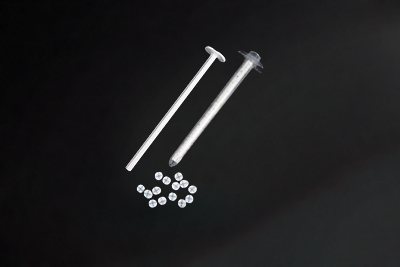 XSTAT 12 and 30 are prescription devices that work by injecting a group of small, rapidly-expanding sponges into a wound cavity using a syringe-like applicator. In a wound, the sponges rapidly expand and exert hemostatic pressure. Unlike traditional methods that may take several minutes to be effective, XSTAT can stop bleeding in seconds to stabilize injuries until patients reach an emergency facility. The XSTAT 12’s smaller applicator, approximately 12 mm in diameter, enables treatment of narrow-entrance wounds from small caliber ammunition and stabbings. Since its launch in 2014, there have been multiple successful uses of XSTAT devices in civilian and military pre-hospital settings.